Oral health becomes more important as we age. Research indicates poor oral health to be a factor in the diagnosis of poor cognitive function (a diagnosis of dementia and related diseases)1,3, increased risk for heart disease, metabolic disease and stroke1 and poor oral care results in frequent hospitalizations due to a diagnosis of pneumonia2. Numerous studies have identified mouth care in nursing homes as inadequate4. Research indicates the positive benefits of a person centered approach to mouth care. These statements lead to questions and ethical dilemmas. Is cognitive function affected by poor oral health and tooth loss? Does tooth loss in mid-life lead to a diagnosis of Alzheimer’s disease? What side effect of poor oral health is a common cause for hospitalization and mortality in older adults? Do care community staff have an ethical obligation to support good oral health similar to support provided for hygiene related to toileting? Are there proven benefits of person centered mouth care? In relating a diagnosis of dementia to poor oral health, which comes first, the chicken or the egg? Does tooth loss promote dementia or does dementia promote tooth loss? Tooth loss, one of the indicators of periodontal disease has been reported to be associated with Alzheimer’s disease and dementia. 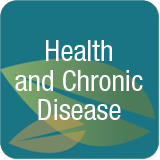 A history of ‘lost all teeth or lost half of teeth before age 35’ was a significant risk factor for AD.5 It is well known that different types of inflammation, for example inflammation from periodontal disease may decrease cognitive function through systemic inflammation relating to cardiovascular disease. Other diseases like diabetes, high cholesterol and lifestyle factors such as smoking, alcohol, drug abuse, diet and stress are risk factors for dementia. Coincidentally, individuals diagnosed with dementia exhibit poor oral health. Poorer cognitive function is associated with a higher number of decayed teeth, missing teeth and a higher rate of periodontal disease in community dwelling older adults.3 Those of us working with individuals diagnosed with memory loss witness poor follow through in performing activities related to hygiene activities including bathing and brushing teeth. For individuals living in nursing homes, pneumonia is a common diagnosis resulting in hospitalizations. High amounts of oral plaque and aspiration of infectious oral bacteria contribute to pneumonia requiring hospitalization. Inadequate oral care and swallowing difficulties are modifiable risk factors for pneumonia2. As a result of the Affordable Care Act, hospitals are now penalized for “re-hospitalizations”, meaning individuals who are admitted and treated and then re-admitted within 30 days for the same condition. Pneumonia is one of these conditions. Might re-hospitalization penalties influence nursing home staff to improve oral hygiene for residents? According to research on person centered mouth care, poor oral hygiene results from lack of training, time pressure, perceptions that mouth care is unimportant and fear of resistant patients.4 This particular study, trained CNAs to specialize in mouth care that included tooth and gum brushing and use of mouthwash. Success was achieved in reducing bacteria and improving the swallowing reflex. The time required for oral care was 6.7 minutes per resident. The result was reduced hospitalizations due to a diagnosis of pneumonia indicating that the study was successful. Person centered care is a familiar term related to care for individuals with dementia. How practical is person centered care related to oral health? Should organizations invest time to support the provision of oral hygiene by CNAs? Why has oral hygiene not been a priority in care communities? Does knowledge about the importance of oral health place an ethical responsibility on care communities to support oral care? Does the same knowledge inspire you as a professional caregiver and as a consumer to take better care of your teeth to avoid health complications associated with poor oral health? Hospitals and related organizations are looking for solutions to reduce re-hospitalizations. Rather than focusing on orders for physical therapy and home care post hospitalization. Should the community at large focus on aspects of daily care that reduce modifiable risk factors for emergency room admissions by reducing the incidence of chronic disease and infection, reducing the frequency of diagnosis of pneumonia in older adults and prevent re-hospitalizations, like appropriate oral hygiene? The popular statement “knowledge is power” applies to oral hygiene. What will you; your community and your organization do with this power? 1 Lexomboon, Duangjai, et.al. (2012) Chewing Ability and Tooth Loss: Association with Cognitive Impairment in an Elderly Population. JAGS 60:1951-1956. 2 Juthani-Mehta, M. et al. (2013) Modifiable Risk Factors for Pneumonia Requiring Hospitalization of Community-Dwelling Older Adults, JAGS 61:1111-1118. 3 Lee, K.H. et al. (2013) Cognitive Function and Oral Health – Related Quality of Life in Older Adults. JAGS: 61:1602-1607. 4 Sloane, P.D. (2013) Effect of a Person Centered Mouth Care Intervention on Care Processes and Outcomes in Three Nursing Homes. JAGS 61:1158-1163. 5 Okamoto, N. et. al. (2010) Relationship of Tooth Loss to Mild Memory Impairment and Cognitive Impairment: Findings from the Fujiwara-Kyo Study. Behavioral and Brain Functions 2:77. 6 Pagnanini-Hill A., et. al. (2012) Dentition, Dental Health Habits, and Dementia: The Leisure World Cohort Study. J. Am Geriatr Soc 60:1556-1563. © 2014 Pamela D. Wilson, All Rights Reserved.